Los Altos Police have received several reports from citizens about a driveway repair/seal-coating scam that has been operating throughout the Bay Area including Los Altos. These types of scams are typically committed by transient and unlicensed companies that offer driveway repair and/or seal-coating services. The subjects will contact residents (specifically targeting elder adults) unsolicited and offer to repair and/or seal-coat driveways. The subjects will offer a verbal estimate without providing a written estimate or a written contract. The subjects will utilize a minimal number of tools and low-grade materials in completing or partially completing a sub-par service. Upon completion, the subjects will demand a cash only payment that may be significantly larger (two to three times) than the original verbal estimate. The typical monetary loss resulting from these types of scams can be in the thousands of dollars. Selling Door-to-Door: Reputable and licensed contractors will rarely solicit work by means of walking door-to-door. Always ask for a contractor license number and for references even if they sound and look professional (construction vests/clothing). Left-Over Materials: Professional and licensed contractors will know, with great accuracy, how much paving material is needed to complete a project. Rarely will they have leftover materials. Pressured to Make a Quick Decision: Reputable and licensed contractors will provide a written estimate that will be valid for weeks or months. If the great deal they are offering you today is not available tomorrow or next week it may be a scam. No Contract Offered: Insist upon a written contract specifying in detail, the work to be performed and the agreed upon price. Cash Only Sales: Most reputable and licensed contractors will accept checks or credit cards and will not require cash-only payments. Too Good to be True Deals: If the estimated price seems very low, chances are the quality of the work will also be quite low and you will typically be up-charged upon completion of the job. Unmarked Truck: The trucks utilized by the subjects will often me unmarked or they will have an out of town address, phone number and/or license plate. A little research will reveal that they have no permanent address (typically will use an address associated to UPS store type business) and the phone number is regularly changed. 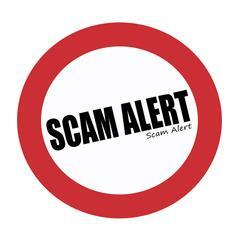 If you encounter a situation that you believe is a scam or if you believe that you many have fallen victim to a scam, we ask that you immediately call the Los Altos Police Department at (650) 947-2770 and report the situation.